We are pleased to announce that we have an exciting opportunity to nominate a Jersey athlete for a SportsAid award which includes a £1,000 grant, access to workshops and a buddy scheme. SportsAid helps the most promising young British athletes by providing them with financial support, recognition and personal development opportunities during the critical early stages of their careers. Jersey Sport is forming a partnership with SportsAid and an early opportunity has arisen to initially support one Jersey athlete, thanks to a SportsAid funding partner agreeing to support young talent in the island. Not all sports are supported, so please check your sport is listed on the SportsAid list of Sports. Nominees do not need to meet the sport-specific criteria listed on those pages, but do need to meet the criteria below. Must have a valid British passport and/or be able to compete for Great Britain. Athletes should be within the sport’s defined England Talent Pathway. (Or, let us know if athletes are part of a UK/ World Federation Pathway, depending on how your sport is structured). Non-disabled athletes should typically be in some form of structured education. Some flexibility may apply. Priority will be given to athletes aged between 12 and 18 years old for non-disabled athletes and up to 35 years old for disabled athletes. Flexibility may apply on a sport by sport basis based on specific sport talent pathways. Nominees must be deemed as talented by their National Governing Body (England/ UK) (NGB). Typically, they will be one or both of the following: highly ranked in their age group rankings nationally; a member of a GB/National age group team or squad. We ask Sports Associations to consider all athletes within their particular sport. 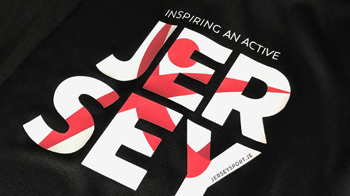 To nominate an athlete please submit the following information to grants@jerseysport.je by 1st February 2019. All eligible nominations will be submitted to SportsAid and their funding partner who will make the decision of who receives the award.